Grand Calao is a special hotel, unique in Burkina: on a vast place, several different traditional buildings were build to respect a "village spirit". But, don't worry, you're welcome with the best way of hotel works: all of our rooms had air conditioning, mosquito net, showers and WC. 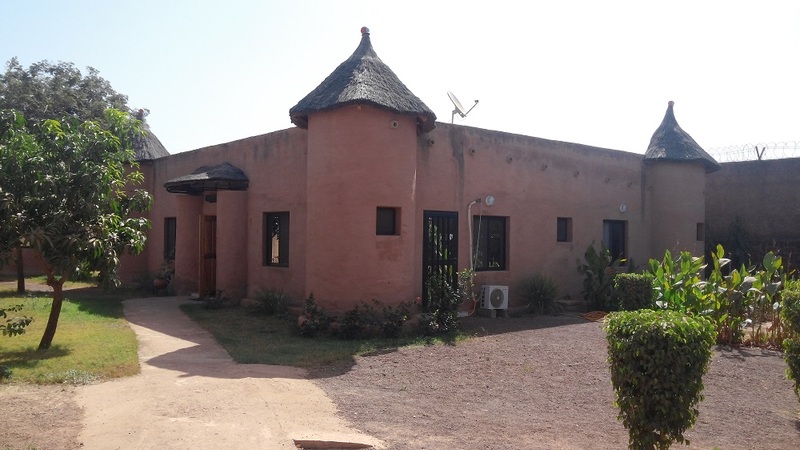 This charming inn is a window of the burkinabe architecture: traditional, various, included a lot of small shrewdness from the local seniors ! 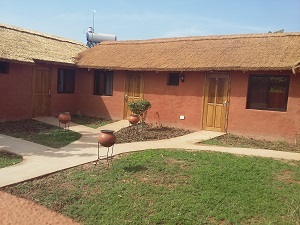 most important ethnic group of Burkina, the "mosse" lived in circular huts, surmont with straw roofs. These rooms are enough vast for whom want to get a triple room. Three double (or triple) rooms and one suite. 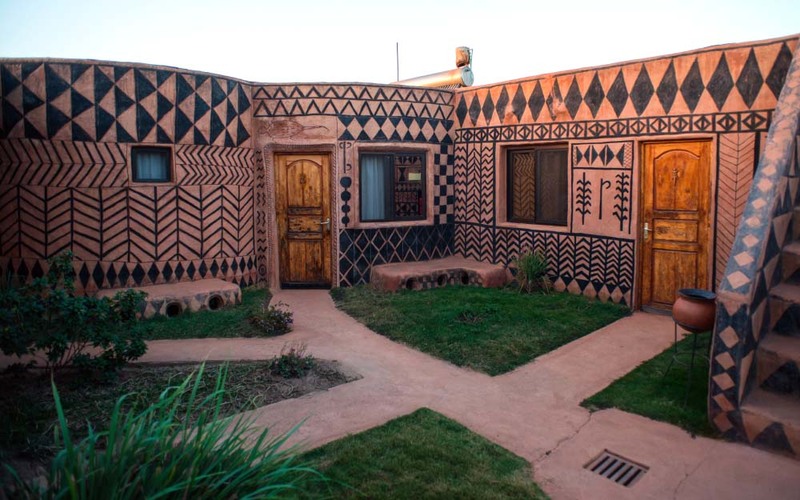 inspired of traditional houses of the famous Tiebele village. 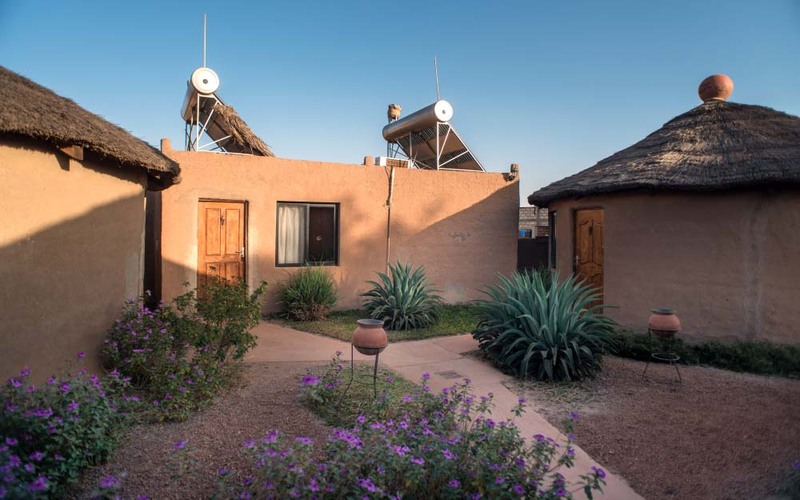 It is a charming building, restful, which will be liked by everybody (or almost)... For amateurs, possibility to sleep on the roofs (terraces), under the stars. Three double rooms and one suite. Dagaris are from an ethnic group, cousins of Lobis (famous animist ehtnic group of south-west of the country, around Gaoua). We have reconstruct this traditional building with it's mil loft and it's flourmill. Three double rooms and one suite. The Sénoufos (or Siéna, a name which gives itself and which signifies those who speak senna, senoufo) constitute an African ethnic group, present in Burkina Faso. Six double rooms . 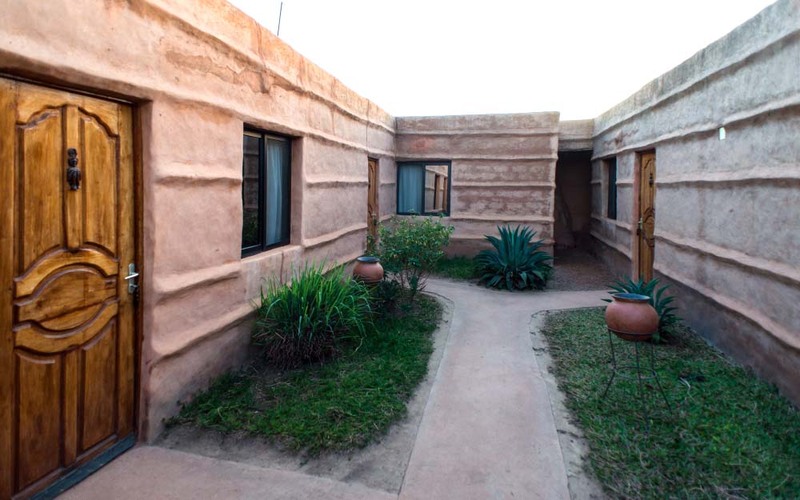 Ethnic people living in the mountain range of Atakora, tata somba are known for their architectural heritage. Two double rooms and one suite. 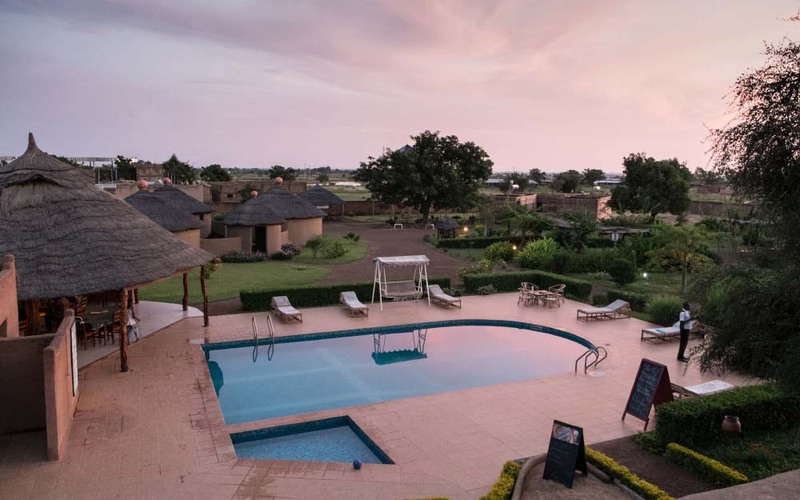 At the Grand Calao, everything is made to submerge you in the burkinabe local traditions, while respecting your confort.